Despite the lack of high-level evidence that inferior vena cava filters (IVCF) decrease mortality, they continue to be implanted at high rates in the United States relative to the rest of the world. Certainly, it is challenging to design a trial that would truly evaluate the current absolute indication for IVCF placement: preventing morbidity/mortality related to pulmonary embolization of venous thrombus from the lower extremity in patients who cannot receive or have failed anticoagulation. Indeed, it is unlikely that such a trial would pass through an ethical review. Nevertheless, questions about the role of IVCF persist. Beyond those patients who have a lower extremity deep vein thrombosis (DVT) with an absolute indication, are there others who would benefit from IVCF in reducing the risk of pulmonary embolism (PE)? Studies have been performed evaluating the additive role of IVCF, along with anticoagulation, in patients with DVT. The original 1998 PREPIC study demonstrated that patients who had permanent IVCF in addition to anticoagulation did have lower rates of PE, though there was no impact on mortality.1 These results were confirmed on long-term follow up of the cohort.2 In 2015, a similar study was performed with retrievable inferior vena cava filters (rIVCF). In addition to finding no mortality benefit, there was no significant reduction in symptomatic PE in the cohort that received filter in addition to anticoagulation.3 However, modern usage of IVCF is far more nuanced. Are most IVC filters placed to save lives? Or, is there a significant medicolegal component to usage patterns? Though specialty societies agree on the absolute indication for IVCF placement, there are stark differences in recommendations for usage beyond this setting.4-6 These differences reflect the complexities of modern medicine. Patients are living longer with increasing coexisting comorbidities, and thus physicians now frequently find themselves in positions that were once theoretical. To illustrate: If a patient presents with submassive PE and significant lower extremity DVT, would an IVCF offer a mortality benefit? Though retrospective or observational data suggests that is the case,7,8 the lack of high-level evidence introduces equipoise, and ultimately the clinician is left with making an individual judgment that is based on experience, or possibly fear of the “worst-case” scenario. The magnitude of the problem is best reflected in safety communications released by the United States Food and Drug Administration (FDA), strongly urging that clinicians consider retrieval of rIVCF that are no longer indicated,14 despite having received FDA 510k clearance for permanent implantation. Following device placement, several measures have resulted in improved follow-up and retrieval of devices that are no longer indicated. 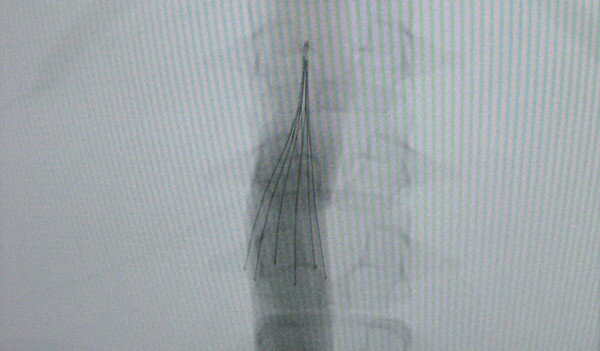 The institution of dedicated IVCF clinics permits diligent, prospective follow-up of patients who receive an rIVCF,16 and the development of complex rIVCF retrieval practices at centers with expertise has resulted in the overall safe retrieval of devices that are no longer indicated or that are clinically problematic.17-19 Nevertheless, overall rIVCF utilization remains high relative to other western societies,15 and device retrieval rates remain variable. A novel device, the Sentry bioconvertable inferior vena cava filter (BTG plc, London, United Kingdom) seeks to mitigate this issue. The device consists of a single-piece, laser-cut nitinol frame with 6 paired arms held together by a bioabsorbable poly-p¬-dioxanone filament that undergoes gradual hydrolysis, resulting in bioconversion and translation of the nitinol arms to a position parallel to the caval wall. This filter is designed to be inserted during periods of temporary high risk of PE associated with DVT followed by bioconversion at a minimum of 60 days following placement. In the one-year results, over 96 percent of devices had bioconverted through 12-month follow-up.20 Overall complication rates through one-year follow-up were low, with two patients developing symptomatic caval thrombosis. There were no instances of device fracture, migration, embolization, tilt, or penetration. The Sentry IVCF holds promise in that it removes the necessity for a second procedure (retrieval) to remove some of the risk associated with rIVCF, primarily caval thrombosis. The one-year data is encouraging in that there are no documented instances of other device-related complications frequently associated with other rIVCF, such as fracture. However, long-term data will be crucial. Prior rIVCF investigational device exemption studies have demonstrated excellent safety profiles, only to find issues once the device has been subjected to “real-world” use and extended times on the market. Notably, the Sentry device leaves a permanent implant in place. The impact of leaving this permanent prosthetic in the vena cava remains unknown and will be an important safety endpoint in long-term studies of the device. Other questions remain regarding clinical usage of the Sentry IVCF. The authors cite studies noting that most PEs occur within 30 days of the index event; however, with the increasing complexities of today’s patients and clinical scenarios, the necessity for mechanical caval prophylaxis may persist beyond the minimum 60-day protection time offered by the Sentry IVCF. In such cases, optimal management where a Sentry IVCF has been placed remains unclear. Should the patient’s embolic risk be re-evaluated? Can a second IVCF be placed safely if necessary? Despite these concerns, the Sentry IVCF represents an important step in IVCF technology. It addresses a significant clinical problem, namely that of poor rIVCF follow-up, low retrieval rates, and the potential of developing significant complications from devices that are no longer indicated. Innovation in this arena will continue to further answer the needs of physicians when treating patients who may be candidates for temporary caval filtration without needing to actually retrieve them. Novel devices may include fully-bioabsorbable IVCF or devices that convert or disassemble from extrinsic, clinician-initiated signals after the patient is no longer deemed to have a significant PE risk. However, important issues remain for clinicians involved in decision-making surrounding IVCF, including the most basic one: “Does this patient need a filter?” We must continue to refine IVCF use and improve the quality of care we deliver to patients with venous thromboembolism through conscientious clinical practice and high-quality research. KRD Disclosures: Paid consultant for Cook Medical, Boston Scientific, Philips/Spectranetics, W.L. Gore, and Angiodynamics. 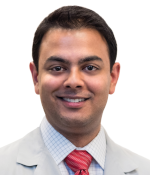 Kush Desai, MD, is Assistant Professor of Radiology, Medicine and Surgery at the Northwestern University Feinberg School of Medicine. His primary research is in venous thromboembolic disease, including IVC filter management and complex IVC filter retrieval. 1. Decousus H, Leizorovicz A, Parent F, et al. A clinical trial of vena caval filters in the prevention of pulmonary embolism in patients with proximal deep-vein thrombosis. Prevention du Risque d’Embolie Pulmonaire par Interruption Cave Study Group. N Engl J Med. 1998;338(7):409-415. 2. Group PS. Eight-year follow-up of patients with permanent vena cava filters in the prevention of pulmonary embolism: the PREPIC (Prevention du Risque d’Embolie Pulmonaire par Interruption Cave) randomized study. Circulation. 2005;112(3):416-422. 3. Mismetti P, Laporte S, Pellerin O, et al. Effect of a retrievable inferior vena cava filter plus anticoagulation vs anticoagulation alone on risk of recurrent pulmonary embolism: a randomized clinical trial. JAMA. 2015;313(16):1627-1635. 4. Kearon C, Akl EA, Ornelas J, et al. Antithrombotic Therapy for VTE Disease: CHEST Guideline and Expert Panel Report. Chest. 2016;149(2):315-352. 5. Jaff MR, McMurtry MS, Archer SL, et al. Management of massive and submassive pulmonary embolism, iliofemoral deep vein thrombosis, and chronic thromboembolic pulmonary hypertension: a scientific statement from the American Heart Association. Circulation. 2011;123(16):1788-1830. 6. Caplin DM, Nikolic B, Kalva SP, et al. Quality improvement guidelines for the performance of inferior vena cava filter placement for the prevention of pulmonary embolism. J Vasc Interv Radiol. 2011;22(11):1499-1506. 7. Wadhwa V, Gutta NB, Trivedi PS, et al. In-Hospital Mortality Benefit of Inferior Vena Cava Filters in Patients With Pulmonary Embolism and Congestive Heart Failure. AJR Am J Roentgenol. 2018;211(3):672-676. 8. Stein PD, Matta F, Lawrence FR, Hughes MJ. Usefulness of Inferior Vena Cava Filters in Unstable Patients With Acute Pulmonary Embolism and Patients Who Underwent Pulmonary Embolectomy. Am J Cardiol. 2018;121(4):495-500. 9. Smouse B, Johar A. Is market growth of vena cava filters justified? Endovascular Today. 2010; February 2010:74-77. 10. Stein PD, Kayali F, Olson RE. Twenty-one-year trends in the use of inferior vena cava filters. Arch Intern Med. 2004;164(14):1541-1545. 11. Carlin AM, Tyburski JG, Wilson RF, Steffes C. Prophylactic and therapeutic inferior vena cava filters to prevent pulmonary emboli in trauma patients. Arch Surg. 2002;137(5):521-525; discussion 525-527. 12. Sarosiek S, Crowther M, Sloan JM. Indications, complications, and management of inferior vena cava filters: the experience in 952 patients at an academic hospital with a level I trauma center. JAMA internal medicine. 2013;173(7):513-517. 13. McLoney ED, Krishnasamy VP, Castle JC, Yang X, Guy G. Complications of Celect, Gunther tulip, and Greenfield inferior vena cava filters on CT follow-up: a single-institution experience. J Vasc Interv Radiol. 2013;24(11):1723-1729. 14. Administration USFaD. Removing Retrievable Inferior Vena Cava Filters: FDA Safety Communication. https://wwwfdagov/MedicalDevices/Safety/AlertsandNotices/ucm396377htm. 2014. 15. Reddy S, Lakhter V, Zack CJ, Zhao H, Chatterjee S, Bashir R. Association Between Contemporary Trends in Inferior Vena Cava Filter Placement and the 2010 US Food and Drug Administration Advisory. JAMA internal medicine. 2017;177(9):1373-1374. 16. Minocha J, Idakoji I, Riaz A, et al. Improving inferior vena cava filter retrieval rates: impact of a dedicated inferior vena cava filter clinic. J Vasc Interv Radiol. 2010;21(12):1847-1851. 17. Desai KR, Lewandowski RJ, Salem R, et al. Retrieval of Inferior Vena Cava Filters With Prolonged Dwell Time: A Single-Center Experience in 648 Retrieval Procedures. JAMA internal medicine. 2015;175(9):1572-1574. 18. Desai KR, Laws JL, Salem R, et al. Defining Prolonged Dwell Time: When Are Advanced Inferior Vena Cava Filter Retrieval Techniques Necessary? An Analysis in 762 Procedures. Circ Cardiovasc Interv. 2017;10(6). 19. Kuo WT, Robertson SW, Odegaard JI, Hofmann LV. Complex retrieval of fractured, embedded, and penetrating inferior vena cava filters: a prospective study with histologic and electron microscopic analysis. J Vasc Interv Radiol. 2013;24(5):622-630 e621; quiz 631. 20. Dake MD, Murphy TP, Kramer AH, et al. One-Year Analysis of the Prospective Multicenter SENTRY Clinical Trial: Safety and Effectiveness of the Novate Sentry Bioconvertible Inferior Vena Cava Filter. Journal of vascular and interventional radiology: JVIR. 2018;29(10):1350-1361 e1354. Enter your email and get VEIN Magazine in your inbox every month. We will never sell, rent, or share your email. Are You a Top Vein Doctor? I agree to receive emails from Vein Magazine. I can withdraw my consent at any time by unsubscribing.